Well I never knew your blog until a couple of days ago. I was a fan of you at Lookbook long time ago. I saw you commenting on A.K.F Looks and I fanned you and you fanned back too although I didn't post any looks yet. I use to hype your looks through my look feed, ba3dain I decided to press on your profile oww now I am here reading your posts. I've been reading ur blog since some where around may-june 2009. and yes ofcourse I still check ur posts! i think min last year oo i still do! I strat read your blog since 2 years, and still readin it. 3 years ago. I love it because we both share the same wedding date! 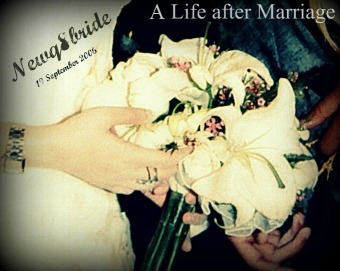 Sep.19th.2006!